This Microsoft Advanced Outlook 2016 training course builds on basic skills in Outlook and teaches participants to work with some of the more advanced features of Outlook. The PD Training Microsoft Outlook 2016 Advanced training course will help participants to expand upon their existing knowledge use advanced features of Microsoft Outlook 2016 such as delegating calendar access, setting up RRS feeds, using mail merge, creating journals and note and much more. This hands-on training workshop is available now throughout Malaysia., including Kuala Lumpur and also via instructor-led online training. This Microsoft Outlook Advanced training course offers a more in depth understanding of the 2016 interface and configuring emails, calendars, contacts and Outlook data files. 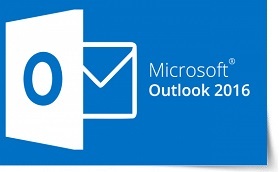 It is recommended you have completed Outlook® 2016 Introduction, or possess equivalent knowledge.